Dealer Lead Generation | Sub Prime Auto Leads - Car Sales Leads - Special Finance Car Loan Leads by CyberLead, Inc. If you have a car dealership that is looking to generate more business and increase sales, there are several marketing techniques that are effective. If you are looking to generate sales leads, there are professional automotive dealer lead generation companies that can effectively target credible customers and point them your way. In addition, expanding your portfolio to include subprime loans and financing can also help to increase your car sales. For the best auto dealer lead generation program, contact the experts at SubPrimeAutoLeads.com. SubPrimeAutoLeads.com are the car dealer lead generation experts that will research the best potential clients for your business, analyze key buyer research information, and help your dealership get the most credible auto leads that are actually ready to purchase a vehicle. Dealerships that have used SubPrimeAutoLeads.com in the past have called SubPrimeAutoLeads.com one of the best auto lead providers in the industry because they provided them with credible auto loan leads that turned into customers. This process can successfully help any auto dealer that needs some assistance with online lead generation and wants to ultimately increase car sales and increase revenue. SubprimeAutoleads.com generates auto finance and auto sales leads from their websites from consumers who are looking to purchase a vehicle right now. Real time leads can create real time sales. Trust SubPrimeAutoLeads.com to provide the auto sales leads that your automobile dealership needs to start increasing sales. In addition, all of the leads are exclusive to your dealership, and are never resold. They are the auto dealer lead generation specialists. Increase your sales, expand your market and boost revenue with a dealer lead generation company that works! If your dealership wants to buy car sales leads, contact the dealer lead generation business in the industry. SubPrimeAutoLeads.com generates credible auto leads lists that your dealership can purchase on a weekly, monthly or annual basis. With SubPrimeAutoLeads.com, your dealership will get the car loan leads that will turn into sales. SubPrimeAutoLeads.com can generate leads for your automobile dealership. They are an online lead generation company that that will research the best potential clients for your business, analyze key buyer research information, and help your dealership get the most credible auto leads that are actually ready to purchase a vehicle. Dealerships that have used SubPrimeAutoLeads.com in the past have called SubPrimeAutoLeads.com one of the best sales leads companies in the industry because they generate leads that turn into customers. This process can successfully help any auto dealership that needs some assistance with online lead generation. How do they generate leads? SubPrimeAutoLeads.com can generate leads from their affiliated websites that target customers who are looking to purchase a vehicle as soon as possible. These websites focus on a number of keywords that consumers are using when they are searching online and trying to obtain auto financing. The applicants are often subprime leads or special finance car sales leads and often have poor credit and don’t want to go from dealership to dealership just to be rejected. SubPrimeAutoLeads.com will generate leads for your business. 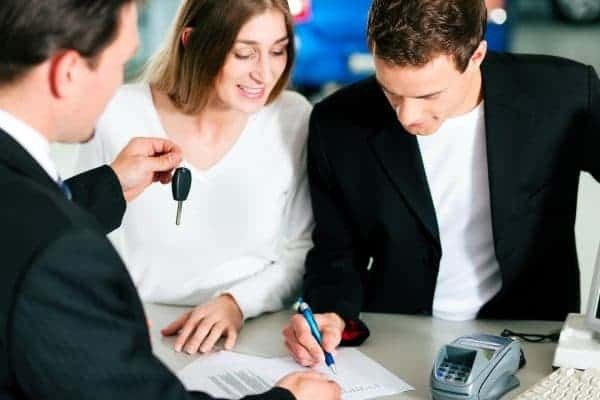 Customers are then connected to a dealership that has the ability to help get them an approved auto loan and into the car of their choice. If you partner with SubPrime – they will generate leads for your dealership. Let SubPrimeAutoLeads.com start helping your business with sales auto leads lists, auto sales leads and special finance car sales leads. SubPrimeAutoLeads.com are car lead generation experts that will research the best potential clients for your business, analyze key buyer research information, and help your dealership get the most credible auto leads that are actually ready to purchase a vehicle. Dealerships that have used SubPrimeAutoLeads.com in the past have called SubPrimeAutoLeads.com one of the best auto lead providers in the industry because they provided them with credible auto loan leads that turned into customers. This process can successfully help any auto dealership that needs some assistance with online lead generation and wants to ultimately increase car sales and increase revenue. Dealerships across the country have been benefiting from auto finance lead generation programs that can send credible leads to their business. Traditional marketing techniques like newspaper ads or flyers are not always successful. Your business needs a marketing edge to bring in additional business. If your dealership is like many of the other automobile dealerships in the country, you know that only the best and most credible automotive lead generation program will result in actual buyers. 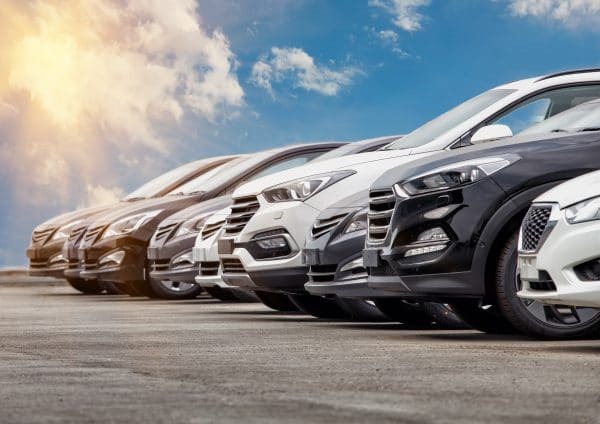 The experts at SubPrimeAutoLeads.com know that it is not uncommon for an auto dealer to spend thousands of dollars each month to get people into their showrooms, without knowing if the audience they are targeting is really interested in purchasing a vehicle. Instead of wasting money on unsuccessful marketing techniques, dealerships can rely on SubPrimeAutoLeads.com, a specialized automotive lead generation company, to generate sales leads for their business. SubPrimeAutoLeads.com can generate leads from their affiliated websites that target customers who are looking to purchase a vehicle as soon as possible. These websites focus on a number of keywords that consumers are using when they are searching online and trying to obtain auto financing. The applicants are often subprime leads or special finance car sales leads and often have poor credit and don’t want to go from dealership to dealership just to be rejected. Through SubPrimeAutoLeads.com customers are connected to a dealership that has the ability to help get them an approved auto loan and into the car of their choice. You can trust the experts at SubPrimeAutoLeads.com, the leader in automotive lead generation to help your business gain new customers, increase sales and boost your business. SubPrimeAutoLeads.com is car lead generation company that offers credible subprime auto leads to dealerships throughout the country. They offer an innovative and proven sales lead generation solution to dealers across the nation. Their auto loan lead generation programs leverage the growing cost benefits of internet lead generation over conventional advertising. Through the use of the online application process, subprime customers are vetted and credible auto loan leads are sent directly to a local car dealership. If your dealership is interested in an online lead generation program, contact SubPrime. Partner with SubPrimeAutoLeads.com, the business that assist you with generating sales leads and your dealership will get the auto leads that can turn into sales. SubPrimeAutoLeads.com uses a group of search engine-optimized (SEO) domains that provide valuable subprime and special finance leads to dealerships. As an added benefit, dealerships may use these vanity domains as part of their advertising campaigns. For close to fifteen years automobile dealerships across the country have trusted SubPrimeAutoLeads.com to help them expand their business and increase car sales with car finance leads that are generated online. With direct mail marketing campaigns, SubPrimeAutoLeads.com also adds another tier of marketing that targets special financing leads and supports dealer car sales goals. Credible auto sales leads are very important in the automobile dealership industry. Without a strong online lead generation program, your business may be missing out on a large number of automobile sales. You want to cultivate the best and most focused auto sales leads for your business. The better the lead, the more likely is that the customer will purchase a vehicle. If you do not get credible and high potential sales leads, your sales people can lose potential sales because they are spending most of their time chasing down customers who may not be truly interested in purchasing a vehicle. SubPrimeAutoLeads.com has been generating sales leads for fifteen years. They work with dealerships across the country through the use of successful online lead generation programs. They are the top automotive lead generation business for subprime auto loans. Your dealership can increase sales and increase revenue with these proven sales lead generation programs. They have years of experience generating sales leads for automobile dealerships across the country. Their online lead generation program produces quality subprime auto leads that turn into actual sales. They target customers that are searching online for options to buy and finance a new car. These customers may have bad credit and they are unsure if they will be able to get a loan or any financing at all. Often they search through sites like CarCredit.com (which is a domain owned by SubPrime) that can offer them the financing that they are looking for and they can fill out an application right on the website. 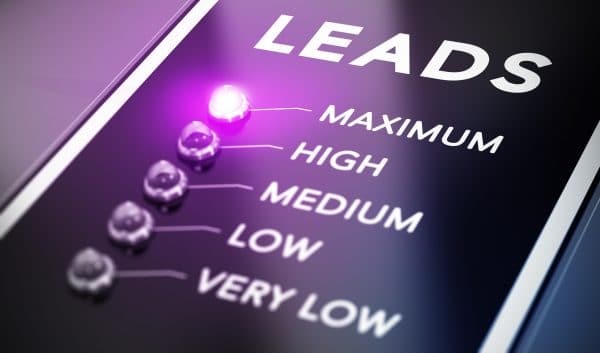 If you are searching for the best online lead generation specialists in the nation that can increase your sales lead generation, contact the specialists at SubPrimeAutoLeads.com. Your dealership will see an absolute increase in sales as soon as you start receiving the auto leads. To start expanding your business reach and increasing your revenue contact the experts at SubPrimeAutoLeads.com at 1-866-311-5323 or visit www.SubPrimeAutoLeads.com. A credible lead generation program will absolutely increase sales and revenue for your car dealership.